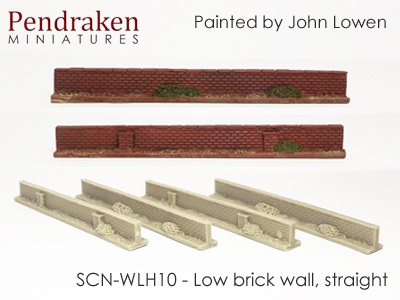 We're continuing to expand our scenery ranges and a lot of you have already got your hands on some of our stone walls and hedges! 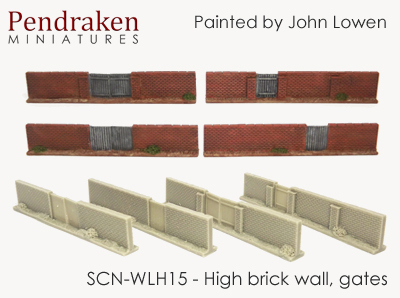 This month John at Ironclad Miniatures has been working on some urban style brick walls for us, in both low and high varieties. 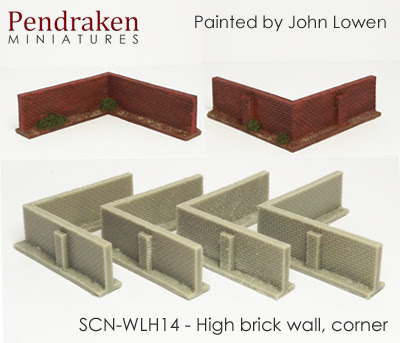 As with the previous releases, these packs contain 4 pieces each, with the straights and corners all being a single design, whilst the gates contain two types per pack (the buttresses are only on one side or each wall.) 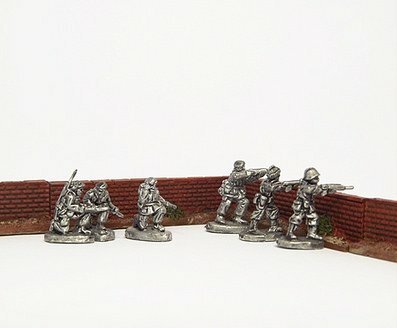 The low walls are 8mm in height, equating to around 4ft at 10mm scale. 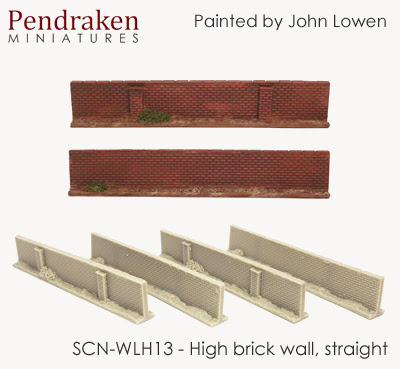 The high walls are 12mm in height, equating to a 6ft wall. 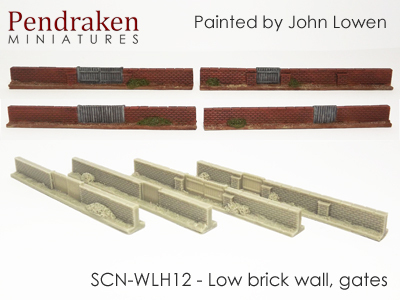 Each piece is 80mm in length (walls are 40mm in each direction) giving you just over 1ft of walls per pack. 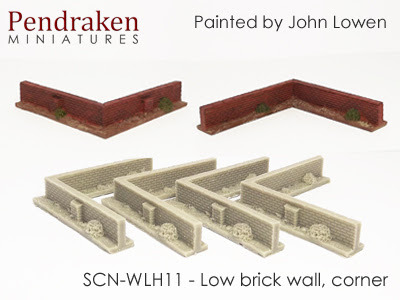 For those gaming in other scales, these would also work for 6mm 'high' walls and 15mm 'low' walls. 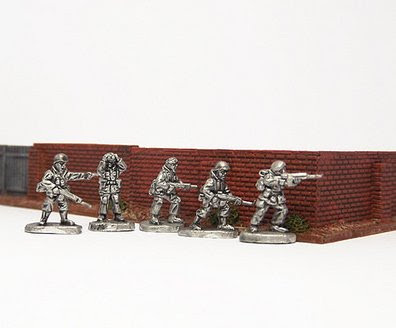 And whilst we're at it, a few folk asked for some more irregular hedge types, so we've added a pack of those for you as well!